equipping your passion to help vulnerable children. Around the world, there are millions of children waiting for a new story. It’s time we cross all barriers to make that a reality. We work with everyday heroes like you. 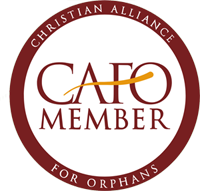 Our mission is to connect, support and equip people to help solve the Global Orphan Crisis. Volunteer locally in Central Florida. See our orphan care programs firsthand. Donate your time or finances.